Jan Ward Olmstead (Barbareno, Chumash) was born and raised in Santa Barbara, California. Jan is a private consultant and currently leads the public health policy and project work of the American Indian Health Commission for Washington State. She brings an understanding of evidence-based public health from working with tribal communities and over 35 years of public sector experience in health policy, public administration, and tribal and intergovernmental affairs. 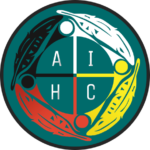 In partnership with tribal leadership, tribal health programs, and community members, Jan has helped create Native approaches to public health work that draw on unique cultural resources, community vision, and the engagement of tribal elected officials. She has also served as adjunct faculty at The Evergreen State College in the Master of Public Administration program. Jan serves on the boards of Group Health Foundation, Community Advisory of University of Washington’s Health Promotion Research Center, Washington State Public Health Association Wishtoyo Chumash Foundation, and as an alternate on Washington State Governor’s Health Disparities Council. Jan earned a BA in 2003 and MPA in Tribal Governance in 2006 from The Evergreen State College in Washington State. She is pursuing a master certification in the NEAR Science (Neuroscience, Epigenetics, Adverse Childhood Experience (ACE) and Resilience) evidence-based training based on the ACE study. She does this work in context of generational clarity with a focus on key developmental stages, early childhood through adolescence, and the historical trauma experienced by Native people.